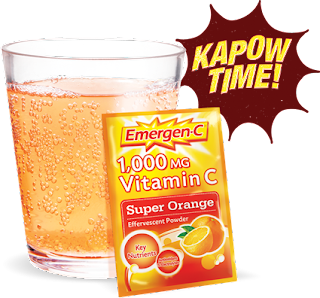 Emergen-C is a fun, fizzy vitamin drink mix filled with 1,000mg of Vitamin C, 7 B Vitamins, key nutrients including zinc and electrolytes to keep you healthy. It supports your immune system, replenishes and refuels your body and gives you a natural kick that feels amazing. It's caffeine-free and has no artificial color or flavors making it a great alternative to coffee, energy drinks, sports drinks, and colas. Thousands of people enjoy it every day, and now you can grab a free sample! US READERS: Click the COUPON tab for a $2.00 off coupon for your next purchase!